Fifa 2014 World Cup Ball – Brazuca! Brazilian fanatic football fans have finally chose the name of the Fifa 2014 World Cup Official Ball! The result of the voting came out this week – we had to choose between “Bossa Nova” symbolizing this Brazilian rhythm famous on the 6o’s, “Carnavalesca” or “Brazuca”, the chosen one. 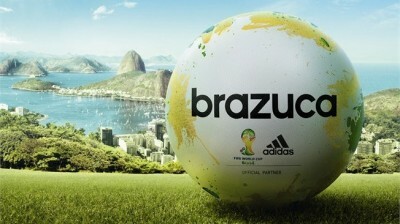 “Brazuca” is an informal term that we use to describe national pride in the Brazilian way of life. Mirroring our approach to football, it symbolizes emotion, pride and goodwill to all. Unfortunately the ball is currently being developed, se we will have to settle we the picture that Fifa launches on how it is going to look like!